Still looking for the perfect gift for Mother's Day? Living plants make beautiful, long lasting keepsakes and expressions of appreciation. 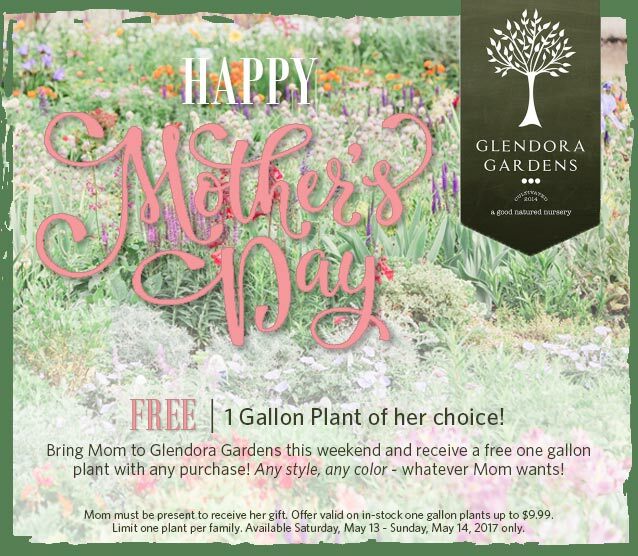 Join us in celebration of Mom and give her the gift of choice! 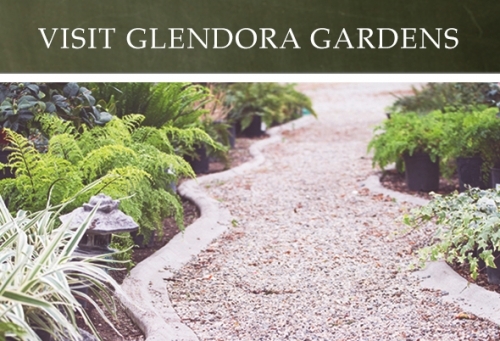 Bring Mom to Glendora Gardens this weekend and recieve a free one gallon plant with any purchase. Any style, any color - whatever Mom wants! After all, one-of-a-kind Moms deserve a one-of-a-kind gift! *Mom must be present with family to receive her gift.